What is the cure rate following excision of endometriosis? That may sound like a curious question. You're not supposed to use "cure" in the same sentence with "endometriosis". You often hear that "endometriosis can't be cured". So what is the truth in all of this? The first thing to do is to ask what defines a "cure"? For endometriosis, the best definition of cure would be this: a patient who had endometriosis excised at one surgery and who no longer has it in the pelvis at a second surgery. That is the only objective way to prove a cure: surgically-proved absence of disease. No one would dispute this definition of cure. For centuries, "cure" in medicine has meant absence of a disease after treatment, and endometriosis should be no different. The fact of the matter is that doctors have known for over 50 years that endometriosis can be cured by excision without removal of the pelvic organs, and modern studies bear this out. This means that those who maintain that "endometriosis has no cure" are wrong. There are many reasons why someone might repeat this untruth. Some may repeat it because they have heard it from someone else. That is obviously not a good reason to propagate an error. Others may repeat it because they believe endometriosis occurs because of Sampson's theory of reflux menstruation, which predicts a 100% recurrence rate and a 0% cure rate. Since reflux menstruation is neither a sufficient nor necessary mechanism in the origin of endometriosis, bringing up Sampson's theory of reflux menstruation is not a good reason to consider endometriosis incurable. Some may say endometriosis is incurable because only something that is 100% curable in 100% of patients forever should be considered curable. If that is the case, then urinary tract infections, pneumonia, breast cancer, and virtually any other disease is incurable. OK, we can all go home now; since no disease is curable by this view, then why go to a doctor in the first place? Whatever reasons that lie behind the notion that endometriosis is incurable are wrong - perhaps innocently so, perhaps not-so-innocently. The next time you hear or read that endometriosis is incurable, ask yourself what agenda is being advanced by that speaker or writer. If you can't determine a logical answer that is based in science then you must question if their motives are based on ignorance or a possible economic benefit that may be derived from sharing only the partial facts. OK. What is the science regarding cure rates following excision of endometriosis? Joseph Meigs (1953), a prominent gynecologist writing in the mid-20th century, said that endometriosis is usually cured by conservative surgery (which at that time consisted of excision of endometriosis at laparotomy with retention of the pelvic organs) and recurrence was uncommon . More modern studies in reoperated patients have borne this out. Wheeler and Malinak (1987) found that 66% of reoperated patients did not have endometriosis following laparotomy excision . I found that 57% of reoperated patients did not have endometriosis after previous laparoscopy excision, and if endometriosis was present at reoperation, it was usually present in smaller amounts than at the original surgery . Abbott and colleagues (2004) found that 56% of reoperated patients did not have endometriosis after previous laparoscopy excision . There are older studies showing much the same thing, but the point is this: If endometriosis is incurable, then why do 50% to 60% of women have no disease at reoperation following excision? The cure rate is supposed to be zero, but it's not. Another interesting thing is to consider the range of cure rates: 56% - 66%. This is a fairly narrow range considering studies performed in different millennia, different time zones, and different hemispheres of the world. This means that the results following excision are dependable and reproducible. None of these results was obtained with the routine use of post-op medical therapy so the results speak strongly for a purely surgical result. The results of excision are decidedly good (figures 1 to 3), and excision of endometriosis is the only therapy which has been shown objectively to cure the disease. (There. I said it: endometriosis can be cured by excision. Sorry to burst any bubbles.) The cure rate found by Abbott and colleagues (2004) was found as a result of a study protocol requiring reoperation after 6 months. The other rates were found at reoperations done up to 11 years after the excision surgery. But wait. If the cure rate was deduced because of reoperating on patients, why did the patients undergo reoperation if most of them didn't have endometriosis and the ones who did had less disease than before? The answer is straightforward: endometriosis is not the only cause of pain, and many of the reoperations were due to problems other than endometriosis, such as fibroid tumors or adenomyosis of the uterus, other types of ovarian cysts, uterine cramps, uterine bleeding problems, and so on. Even if endometriosis was found at reoperation for a gynecological problem, that doesn't prove it was the cause of the symptoms leading to reoperation. 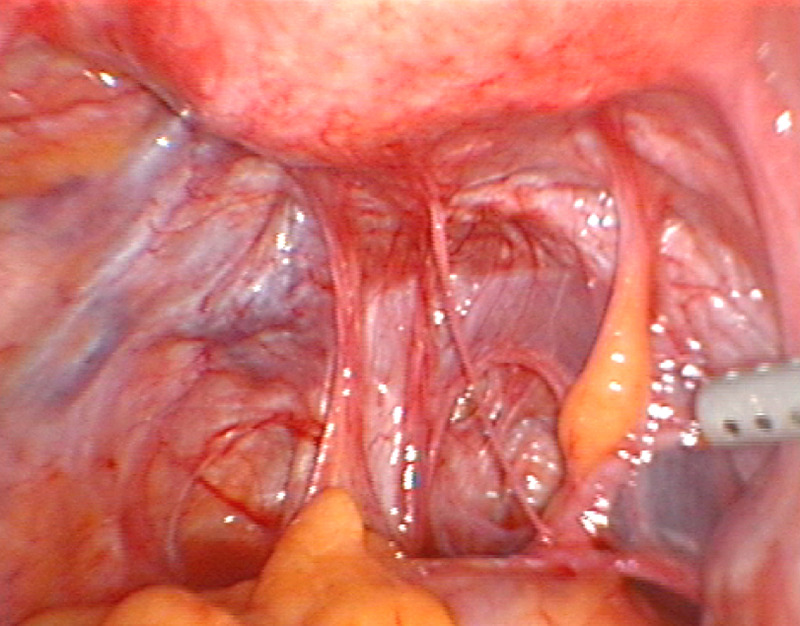 Endometriosis present on visual inspection during index excision surgery. 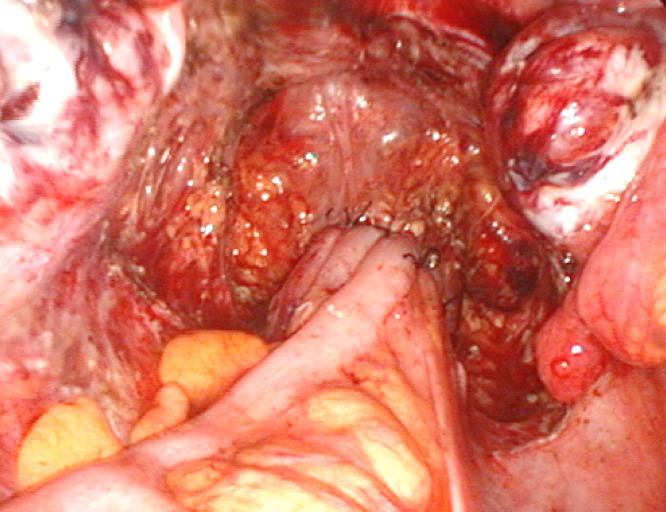 Pelvis following complete excision of endometriosis. No persistence or recurrence of endometriosis at point of reoperation, 3.06 years later. The pain that brought this patient back to surgery was due to other pelvic pathology. I am often asked where the notion of an 80% cure rate following laparoscopic excision comes from. It comes from misinterpretation of the life table analysis I published regarding persistence or recurrence of endometriosis in reoperated patients following laparoscopic excision. Since not all patients necessarily undergo another operation after excision of endometriosis, the cure rate identified among reoperated patients may not be the "true" cure rate for every patient who had undergone surgery. To find that rate, you would have to reoperate on 100% of patients whether they needed it or not, which is unreasonable and impossible to do. Since not all patients undergo reoperation, the life table analysis methodology allows an estimate of the risk of identifying new disease at surgery in the entire group under study. In several hundred patients, both Wheeler and Malinak, and myself found about a 19.5% risk of new endometriosis being found at reoperation by 5 years following excision surgery, another example of the striking congruence of results following excision. Casual readers of these studies might conclude that an 80% cure rate is being claimed, but that would be an incorrect conclusion since the cure rate can only be determined among those patients who undergo reoperation for some reason. The life table analysis simply tries to make an estimate for the entire group, whether they had reoperation or not. The number is still impressive: by 5 years after undergoing excision of endometriosis, 80% of patients will have no new endometriosis surgically diagnosed. That doesn't mean that 80% will require no further surgery, because diseases other than endometriosis may bring patients back for surgery. Any way you look at the numbers, the results of excision are excellent. We know enough about excision to know what may predict recurrent disease. Teenagers are more likely to have recurrent disease than any other age group. This is because they are still forming their disease by metaplasia (the process of one tissue type changing into another tissue type), so even if all the disease is removed, there are still some areas with the potential to form newly appearing disease. There is also the possibility that some disease in teenagers can be so subtle that it might just be entirely missed at surgery, to become more visible later. By their mid-20's, most women will have formed most of the endometriosis they will ever have. The ovaries are the pelvic site most likely to show recurrent disease. This is because small endometrioma cysts may be hidden somewhere in the middle of the ovary, or the ovary might be able to continue to undergo metaplasia longer than other areas. The cure rate with intestinal endometriosis is well over 90% with one surgery. This is because intestinal disease follows repetitive and predictable patterns of involvement and bowel resections are often easier (and therefore more complete) to do than the pelvic dissections necessary to remove deeply invasive pelvic disease. If deeply invasive endometriosis is completely excised any recurrent disease which might ever be found is typically superficial, so deep disease is very unlikely to reform. So the next time you hear that "endometriosis is incurable" don't just sit there and take this scientific misinformation lying down. Do what endometriosis patients do best: stand up, investigate and demand answers. The people who say this may at the very least be misinformed or at the worst have an agenda that is contrary to your best interest. Proven by re-operation excision offers the best possible outcome for pain relief. Wheeler, J. M., & Malinak, L. R. (1987). 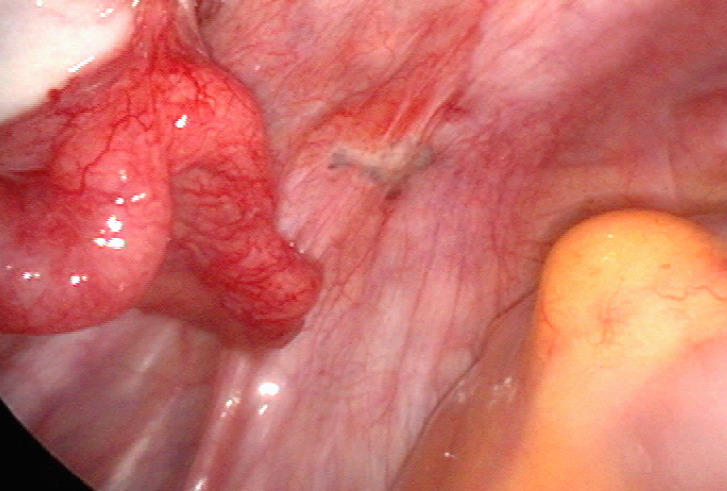 Recurrent endometriosis Contributions to Gynecology and Obstetrics, 16, 13-21. Abbott, J., Hawe, J., Hunter, D., Holmes, M., Finn, P., & Garry, R. (2004).Laparoscopic excision of endometriosis: a randomized, placebo-controlled trial. Fertility and Sterility, 82, 878-884.